Tarique Siddique taking the Best Scorer trophy. 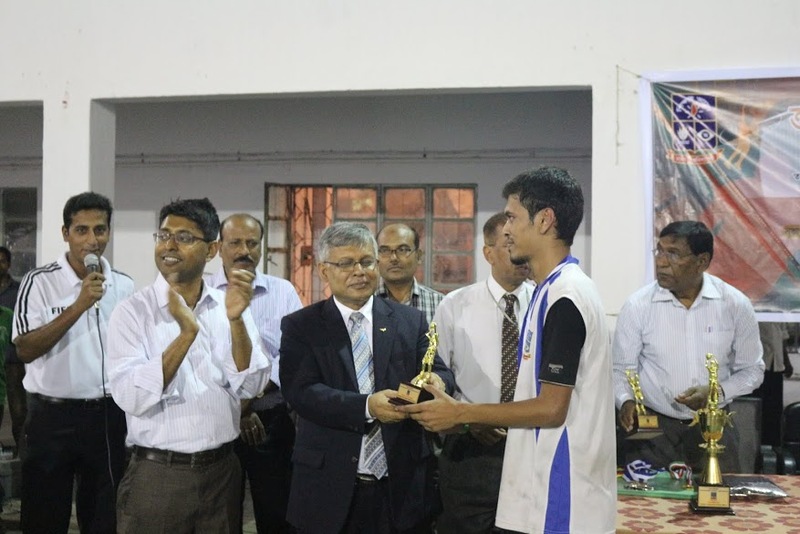 Tarique Siddique has become the best Scorer in Inter Department Basketball Competition 2015. He has become the best scorer by competing against the top four teams of the competitions. The teams were - Institute of Business Administration, Department Of Economics and Department of Management.